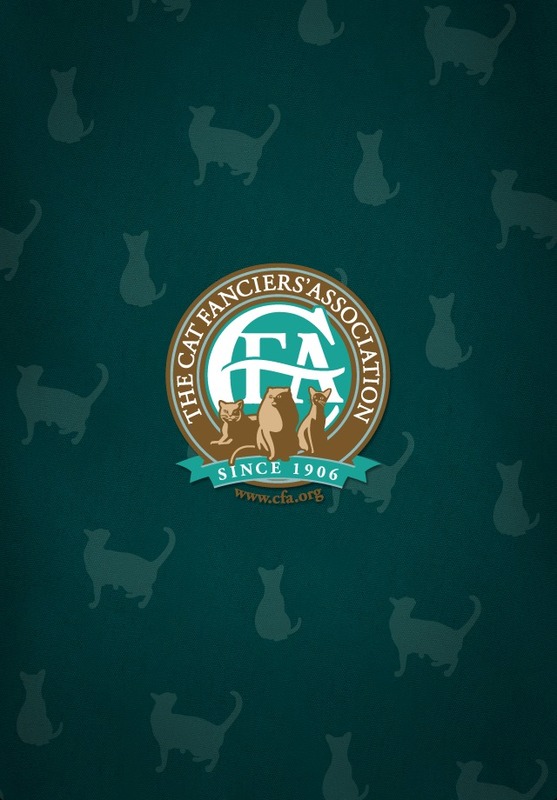 Introducing CFA Cat Breeds, the official application of the Cat Fanciers’ Association. 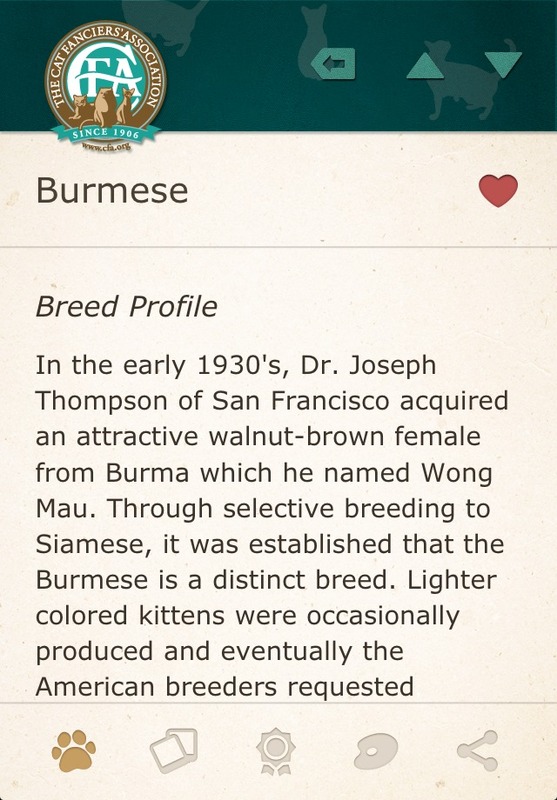 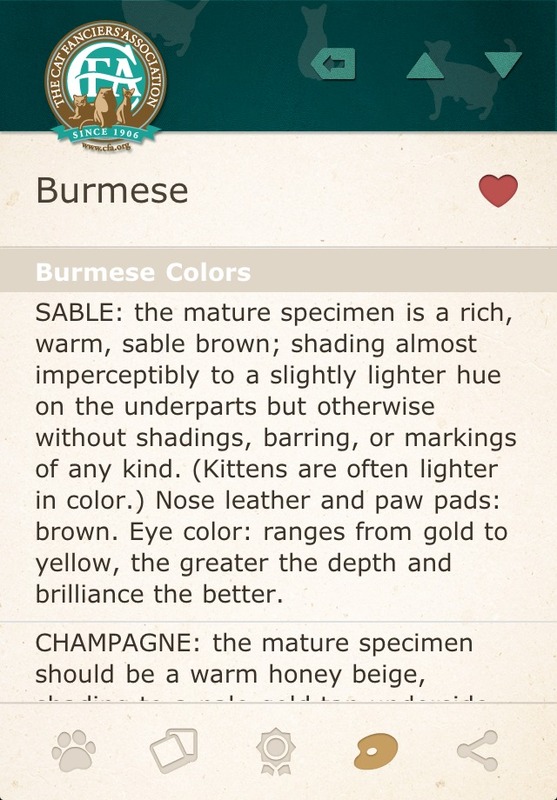 Whether you are a true cat fancier, or you fancy from afar, this application is the best way to enjoy your favourite breeds and learn about new ones, all in the palm of your hand. 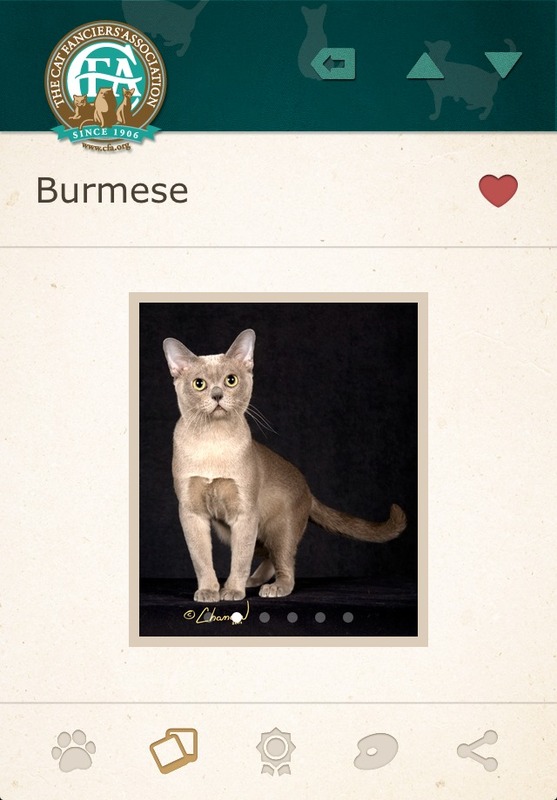 Browse over 300 fantastic photographs by famed feline photographer Richard Katris. 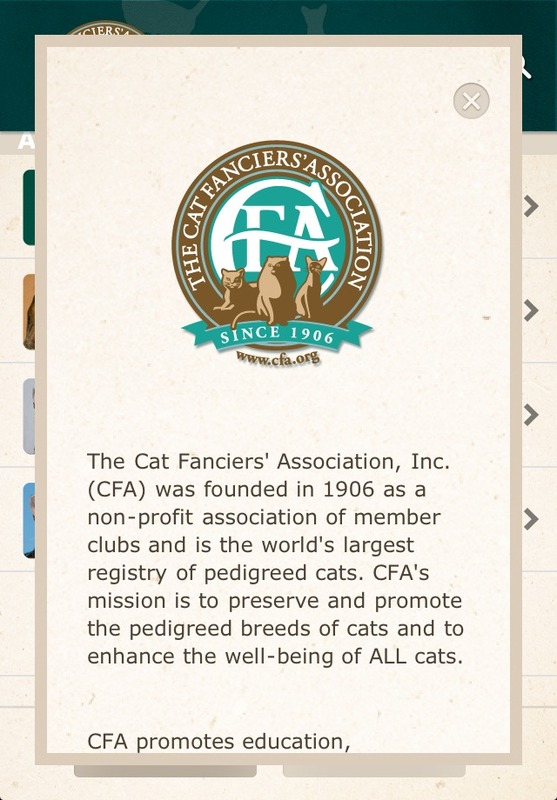 Quickly reference the official breed standards and profiles for all CFA recognized breeds. 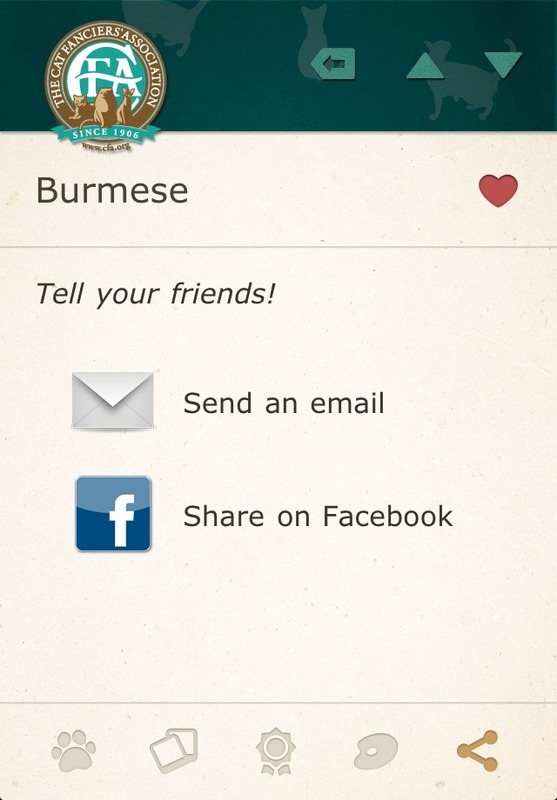 Manage and share your favourites with friends via email and Facebook. 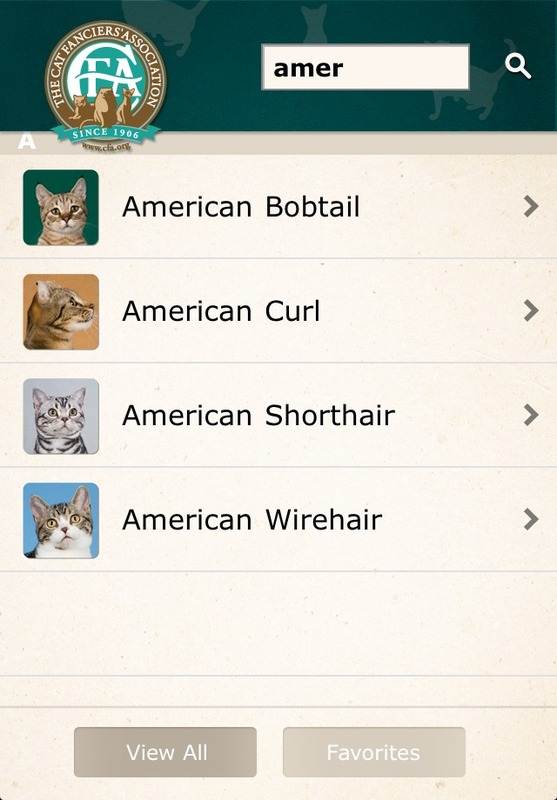 Being a cat fancier has never been more fun. 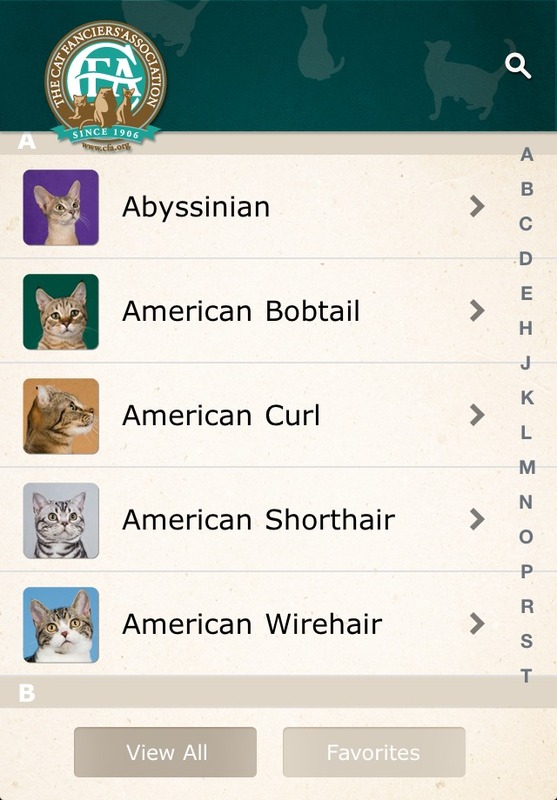 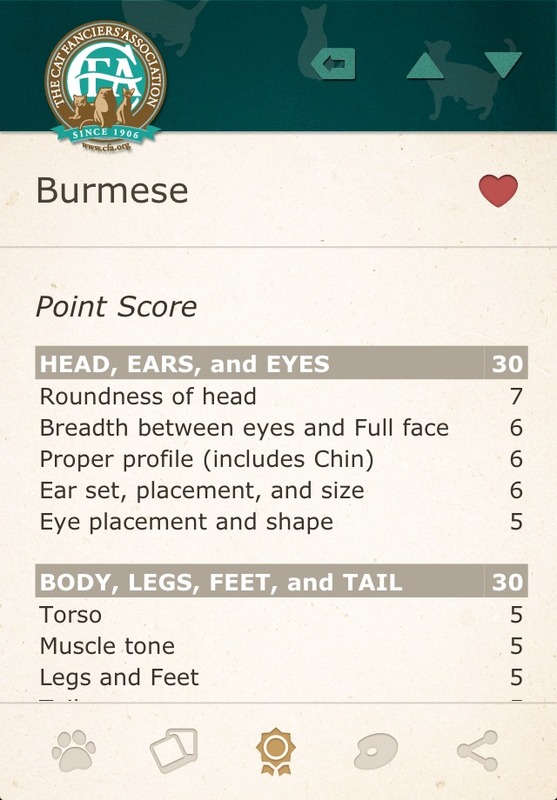 Buy the CFA Cat Breeds application today, and cozy up to a whole new level of fancying.